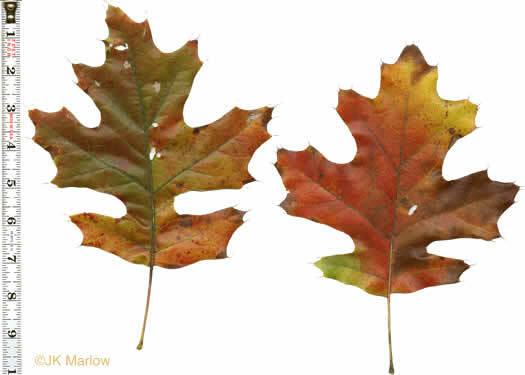 Your search found 4 image(s) of leaves of Black, Northern Red, Scarlet and Shumard Oaks. Leaves evenly lobed about halfway to midrib. Leaves, twigs & buds hairless, per Woody Plants of the Blue Ridge. 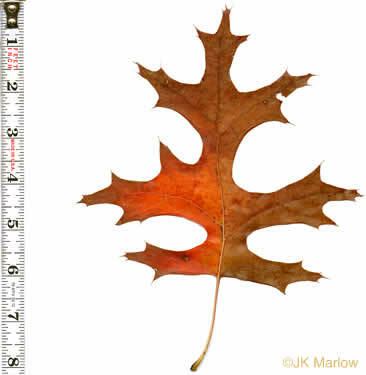 Leaf w 5-9 lobes, deep sinuses more than halfway to midvein, base truncate, per Field Guide to Native Oak Species of Eastern North America. 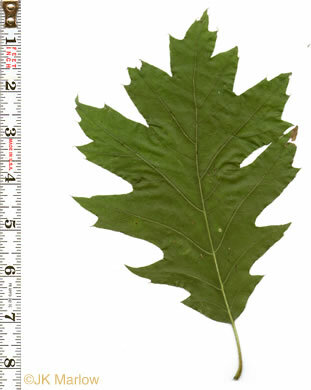 Leaves variously lobed (deeper on higher branches and mature trees), per Woody Plants of the Blue Ridge. 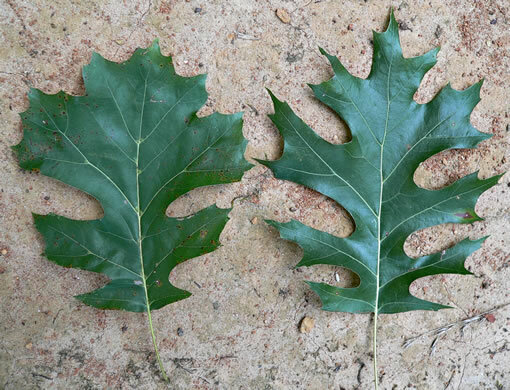 Leaves deeply 5-9 lobed, sinuses rounded, larger lobes with 3+ bristles, per Trees of the Southeastern United States.